Even as the IT industry keenly awaits the impact of protectionist measures by the Trump government in the United States, Reliance Industries Chairman Mukesh Ambani believes that his victory could be a blessing in disguise for Indian IT companies. “It has been a great journey till now (for the Indian IT industry)....Trump can actually be a blessing in disguise. The Indian talent and IT industry will focus on solving problems in India,” Ambani said while speaking at Nasscom’s India Leadership Forum 2017. “I think the opportunities are immense, and we now have the infrastructure to do for own market and make India one of the largest software markets in the world,” he said. According to Ambani, the key for companies to succeed is to have partnerships and be open and be always connected. “It is very important to be open, it is very important to have partnerships and not be close. That is really a strength for India and we should build on this strength, continue to be open and never think whatever the world changes,” Ambani said. “The world might want to build walls around. I think it is very important for us not to be influenced by that, to make sure that we are always open, always connected,”Ambani added. He had some words of advice for budding entrepreneurs as well. “An entrepreneur has to figure out what he has do. This is something that I learnt from my father. 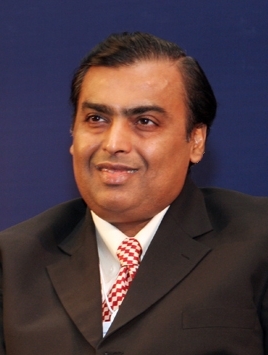 Besides, it is very important to find a problem you want to solve, that you are passionate about,”Ambani said. “Also, two more important things are that investors’ money should be treated more carefully than your own money and you cannot do anything without the right team,” Ambani added.